Battlefield V: Overture, the first big free update of the game’s ongoing Tides of War live service, drops tomorrow, and EA has released a new trailer showing off all its contents. 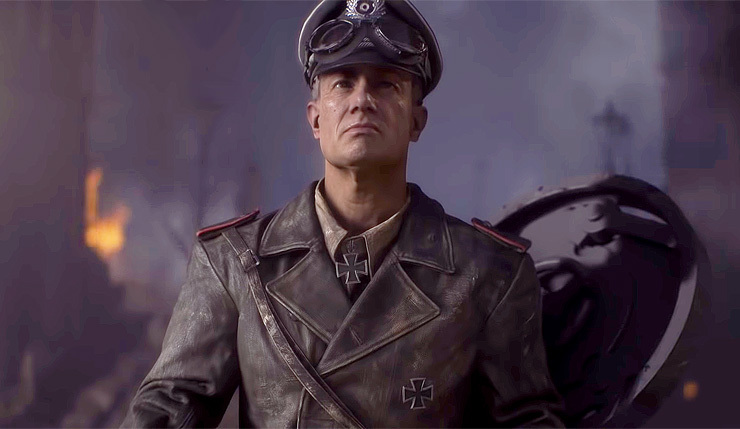 We get a look at the German-perspective War Story, The Last Tiger, the tank-focused map, Panzerstorm, new Practice Range, and more. You can check it all out, below. Tides of War Chapter 1: Overture lets you take on an addition to our single-player War Stories: The Last Tiger. In it, a lone Tiger Tank crew begins to question the ideology that got them to this point. Overture brings the Panzerstorm map, where the German mechanized war machine plunges into Belgium, smashing into Allied defensive forces. On this tank-focused arena, you’ll roll across ridges, ditches, and elevated roads with a massive force of armor, carving a path of destruction through the countryside. We’re also adding the Practice Range to Battlefield V. A seat of learning or just messing around, this area will contain trials to work on your shooting, driving, and flying. Based on the Hamada map, this is an environment that can’t kill you – until someone finds the Friendly Fire button, that is. You’ll get to explore Vehicle Customization when Chapter 1 starts, too. Stand out on the battlefield with stunning tank skins and make your mark on the skies with plane skins and nose art decals. Overture brings weekly events and rewards that will keep highlighting the finer details of Battlefield V gameplay. Each event brings a series of challenges that lets you earn new Tides of War rewards. Also, look forward to the rewards for each time you level up your chapter rank. The Overture update also includes a long list of changes to Battlefield V’s core gameplay, including tweaks to time to kill and revive mechanics, and rebalancing for the medic class and numerous weapons. You can get the full details on these changes, right here. NVIDIA has also released a new Game Ready Driver, which increases Battlefield V raytracing performance by 50 percent. EA and DICE have revealed all the additional Tides of War content coming to Battlefield V before the end of March 2019. You can check out the full roadmap here. Battlefield V is available on PC, Xbox One, and PS4. As mentnioned, Tides of War Chapter 1: Overture rumbles our way tomorrow (December 4).